Dark Associations by Marie Sutro (Viper Press) is a compelling new work of crime fiction pulling readers into a chilling battle of wits between a sinister, twisted mind and a determined young detective. Following the discovery of her protégé’s mutilated corpse, SFPD Detective Kate Barnes vows to capture an infamous serial killer known as the Tower Torturer. After years of silence, the psychopath has emerged from the shadows. Young women close to Kate begin to disappear, as the killer taunts the detective, torturing his victims in various and unspeakable ways before displaying their corpses in macabre public tableaus. The predator always seems to be two moves ahead of the rookie investigator, despite her best efforts. As the body count rises, Kate struggles to apprehend the brutal mastermind before he resurrects history’s most insidious form of torture upon her. 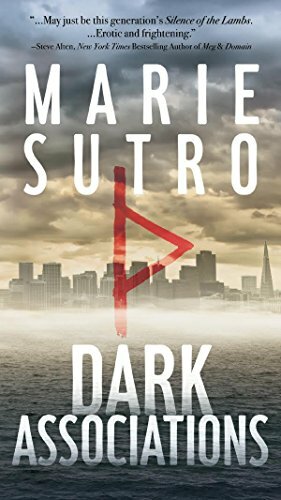 Marie Sutro is a native of the San Francisco Bay Area and a member of Sisters in Crime. A proponent of adult literacy, she volunteers with California Library Literacy Services, helping adults improve their reading and writing skills. Her great-grandfather, grandfather and father all served in the San Francisco Police Department, the collective inspiration for her debut novel. She resides in Northern California and is currently at work on the next Kate Barnes story. Serious readers perfectly understand the advantage of well-written fiction: it’s an escape from whatever ails you, whenever it’s convenient. 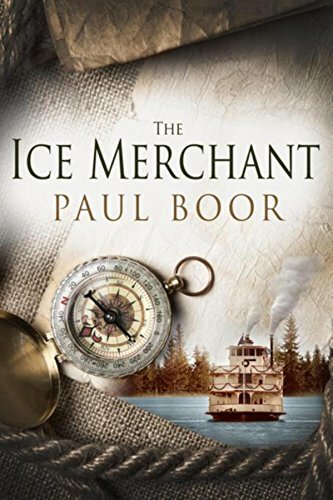 The Ice Merchant, Paul Boor’s newest novel, set in Galveston, TX in 1889, is a tale of the post-civil war ice trade, new medical schools, trafficking in corpses, the discovery of a cure for yellow fever, and a chilling reminder of our human frailties. The story begins in 1889, when a shrewd Yankee ice merchant, Nicolas Van Horne, is carving out a profitable side-business. Deep in his ship’s icy hold, dozens of human cadavers lie between the huge blocks of ice. 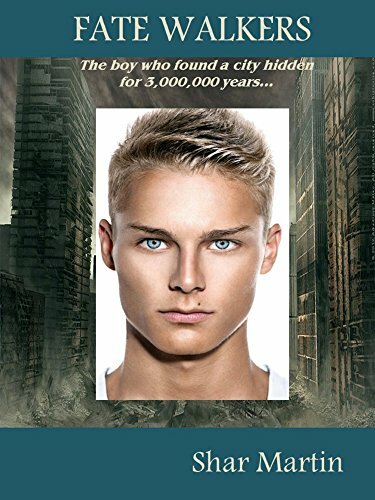 On this delivery, his first to Galveston’s new Medical School, Nicolas is enthralled by Galveston’s lady scientist Rene Keiller, but he also makes the ghastly discovery that he’s been trafficking in murdered boys. It will take Rene’s help to eventually solve the puzzle his ice holds . . . but first he must overcome his personal demons, including morphine addiction, even as he becomes inextricably entangled in lovely Rene’s experimental work on the most dreaded killer of their time, yellow fever. Paul Boor, M.D., is a scientist and professor at Galveston’s medical school, the oldest west of the Mississippi, and home to the highest-level, infectious Bio-Lab. His first novel, The Blood Notes of Peter Mallow, was a modern biomedical thriller acclaimed as “real, raw and on the edge.” In The Ice Merchant, Dr. Boor goes back in time to explore the history of medical research and the body trade, while spinning a tale of romance and human imperfection. Annie Furman tiene un regalo que le permite, mientras duerme, visitar a la gente cuando lo necesitan, ¿pero quién estará ahí para ella cuando necesite ayuda? El Alguacil adjunto, Dave Tuner, se encuentra investigando una serie de allanamientos de morada y homicidios. No tiene idea de que al resolver estos casos conocerá a la mujer de sus sueños. Chelle Cordero escribe historias de pasión y suspenso. Vanilla Heart Publishing ha publicado nueve novelas de Cordero: Bartlett’s Rule; His Lucky Charm; Within the Law; Courage of the Heart; Final Sin; Hostage Heart; A Chaunce of Riches; Common Bond, Tangled Hearts; Hyphema; y Within the Law. Actualmente trabaja en su décima novela y promete otra historia de aventura y reconfortante amor. Chelle ha escrito libros tanto de ficción como no ficción la mayor parte de su vida adulta y ha estado con Vanilla Heart Publishing desde principios del 2008. Sus libros han sido muy aclamados: Bartlett’s Rule fue nombrado uno de los 10 mejores libros del 2009 por of Carolyn Howard-Johnson. El último pecado tuvo Mención de Honor en la Categoría de Ficción en el Festival del Libro 2010 en Nueva York así como una nominación para el Premio Pushcart el mismo año. Hyphema ganó, el 9 de diciembre de 2011 el Friday Book Cover Vote en la página de internet Shades of Love. A Chaunce of Riches fue el ganador de D. Renee Bagby’s readers’ choice en la categoría The Best Overall First Chapter en abril de 2010. Y Hostage Heart, Final Sin y A Chaunce of Riches han sido finalistas en los 10 mejores libros según la encuesta del 2009 de Preditors’ and Readers. Chelle también ha aparecido en “50 excelentes autores que deberías leer” de The Author´s Show en el 2010. Chelle Cordero tiene un blog de autor en http://chellecordero.blogspot.com/, un blog promocional blog en https://ccepotourri.wordpress.com y su página de internet http://ChelleCordero.com ofrece información de todos sus libros y publicaciones. Los blogeros y medios de comunicación están invitados a visitar la sala de medios de comunicación en http://chellecordero.com/media/ con fotografías y otra información para ser descargada. Chelle vive en el noreste del país con su esposo, Mark, y su familia. Tienen dos hijos, adultos, Jenni (y Jason) y Marck (y Trish); también viven con tres gatitos traviesos y consentidos, uno de ellos se ha instalado permanentemente en el escritorio de Chelle. Chelle es un periodista independiente para varias publicaciones a tiempo completo; Los artículos aparecen regularmente en toda América del Norte y escribe una columna mensual sobre el estado de Nueva York servicios médicos de emergencia como un jubilado técnico en emergencias médicas (Primero Noticias Responder). Mariana Sánchez Carranza – Traductora mexicana, licenciada en idiomas con especialización en traducción e interpretación por el Centro Universitario Angloamericano. Ha participado en talleres de traducción literaria impartidos por la OMT (Organización Mexicana de Traductores) de la cual es miembro y la ATA (American Translators Association). Mariana Sánchez Carranza – Mexican translator who has a B.A. in Languages with a specialization in Translation and Interpretation. Attendee at literary translation workshops organized by OMT (Mexican Translators Association) at the International Book Fair in Guadalajara, Jalisco and the ATA (American Translators Association). E-books, audiolibros y libros de bolsillo, ¡Oh Dios! The once-magnificent city now sprawls dormant beneath the Amazon jungle, its pulse a terrible power still in play to this day. And it desperately wants entry back into our world… Gather your nerves for this spellbinding adventure filled with amazing treasure, disturbing villains, and shocking revelations in Fate Walkers by Shar Martin. Unbeknownst to Ellis, he has an enemy. Avrum Henson hates him and wants to destroy his reputation as “a leader among men.” Driven by greed and envy, their inevitable clash ends in an unforgettable and terrifying revelation. Born in Southern California, the author dabbled in the motion picture industry with extensive training in the craft of screenwriting. After writing several feature-length scripts she discovered a passion for writing books. Over the years she has worked in the corporate arena and later attended Ashford University, majoring in English. She currently lives in Houston, Texas with her family. Shar Martin is her pen name. Chelle Cordero writes stories of Passion and Suspense. Vanilla Heart Publishing has published ten Cordero novels and a short-story collection: Bartlett’s Rule; His Lucky Charm; Within the Law; Courage of the Heart; Final Sin; Hostage Heart; A Chaunce of Riches; Common Bond, Tangled Hearts; Hyphema; and Karma Visited. VHP just published The Many Faces of Chelle Cordero featuring several short stories which attest to Chelle’s unique range of writing abilities. Chelle has been writing both fiction and non-fiction for the bulk of her adult life and has been with Vanilla Heart Publishing since early +2008. Katharina Klamt ist Übersetzerin und versucht sich in ihrer Freizeit an der Schriftstellerei. Ihr erster Roman soll 2016 fertig werden, aber sie wird stets von Kurzgeschichten abgelenkt. Ihre Karriere als Übersetzerin begann in der Videospielindustrie, in der sie ihre Leidenschaft für Videospiele mit ihrer Liebe zur Sprache verbinden konnte. Wenn Katharina nicht gerade ohne Vorlagen Figuren von fragwürdiger Qualität häkelt, spielt sie gerne RPGs und Strategiespiele oder liest, besonders Fantasy, Thriller und humorvolle Bücher. This is the terrifying premise of his most recent book, Day of Wrath, which is again drawing significant attention. A number of security experts and law enforcement officials observe that Day of Wrath is not just a warning, but should be viewed literally as a “training scenario,” when considering how to protect our schools from a terrorist assault similar to the massacres created by Islamic terrorists in Beslan, Russia in 2004 and Pakistan in 2014. Although it’s a work of fiction, the actual threat is critical and highly probable. For that reason Day of Wrath went directly to ebook self-publication. “This story must reach the public immediately and should be used as a platform for debate as to how to respond and stop ISIS,” he explains. A print version is also available now. 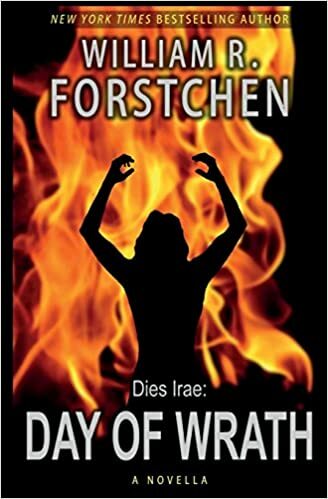 Forstchen, author of more than fifty books, presents a horrifying but likely scenario in Day of Wrath. Forstchen’s heart-stopping novella brings home just how vulnerable our infrastructure really is. It is also a story of heroic efforts to save lives, while sounding a wake-up call to American citizens and their government. William R. Forstchen is a New York Times bestselling author and holds a doctoral degree from Purdue University with a specialization in military history and technology. He is a noted expert historian and public speaker and has been interviewed on FOX News, C-SPAN, and Coast to Coast on topics ranging from history to technology and cultural issues, to space technology development, to security threats. Other recent works by Forstchen include One Second After and One Year After, both NYT best sellers examining the potential threat against our nation’s electrical infrastructure by means of an EMP (electro-magnetic pulse) attack launched by Iran. A LETTER ARRIVES THREATENING TO INFECT A CHAIN OF FAMILY RESTAURANTS WITH HEPATITIS UNLESS $8 MILLION IS PAID. The owner, a God-fearing family man, is torn over what to do. If he borrows the money, his family will drown in debt. He could close all the restaurants, but that would throw loyal employees out of work and stiff his creditors. FBI agent Peters says to raise the money and they will get it back. The Bureau seems to be on top of it but the crooks outwit them and disappear. With no leads to follow, the FBI is at a loss. Then a small town detective investigating an unrelated murder case discovers a possible link. It’s not over yet. “A gripping premise with a sense of urgency that keeps the pages turning.”—Dan Lawton, author of Deception and Operation Salazar. “A diabolical but creative crime perpetrated by increasingly dysfunctional villains … always a good mix! 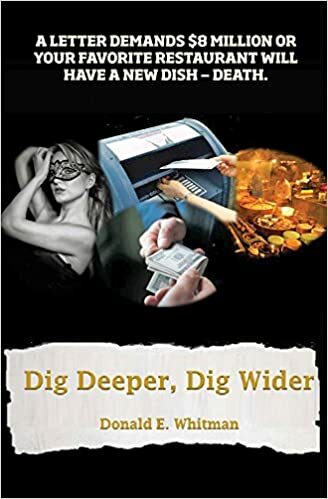 Twists and turns as the good guys struggle to deal with the crisis … sometimes successfully, other times not so much; a fascinating read. It will make you think twice next time you consider going out for dinner.”—Rodney Page author of Murcheson County. Donald Whitman was born and raised in Albany, Georgia. After graduating college with a degree in business he spent three years with the U.S. General Accounting Office, assigned to the NASA Space Center in Huntsville, Alabama. He then began a career in real estate re-development and management, with re-building projects including six story hotels and large apartment communities as well as single family homes. He has been married to Barbara for forty years. They have two married daughters, and five grandchildren. He is active in his community where he served five years on the Board of Directors for a nationally acclaimed water authority and in his church, where he is an elder and teaches Sunday school. His hobbies include water skiing and swimming and he does one or the other three or four times a week.